Today is the greatest day for you in whole space, because I finally managed to share one of my most favourite races made by Dustin! This is the beautiful Shaman I put together and was playing as one during all november! I made his face so that I thought Dustin might love it. Would you love it? I'd love it. I'd love it hard. Shamans are seemingly frail dusky mer possessing an enigmatic design all over their body, and rampant animalistic sexuality. Their skin is velvety, their gaze is sultry, and their touch is exciting. They were created unsociable, obedient, and basically gifted in dark arts, to fullfill the creator's needs. Vvardenfell, the Third era. During his voyage through the wastelands, a powerful wizard lord of Telvanni kidnapped a young ashlander. The boy was held in captivity in a drugged half conscious state inside the dark secluded room on the tower top. He was fully controlled by his abductor. 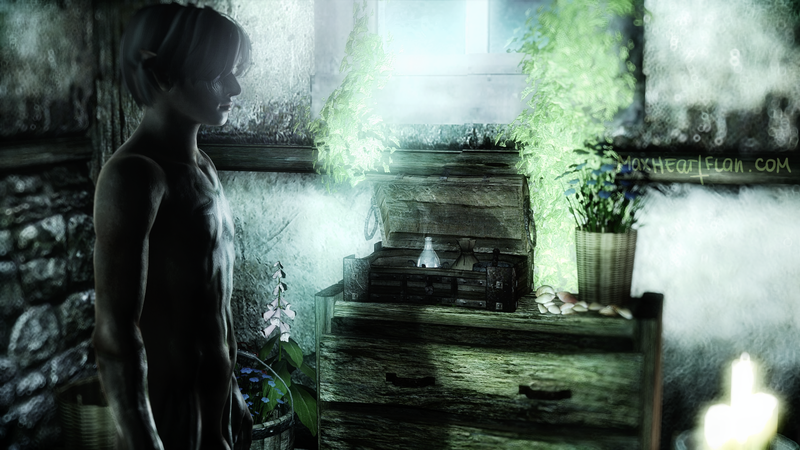 The boy has become a subject of the mage's perverted experiments, yet a real obsession of his. 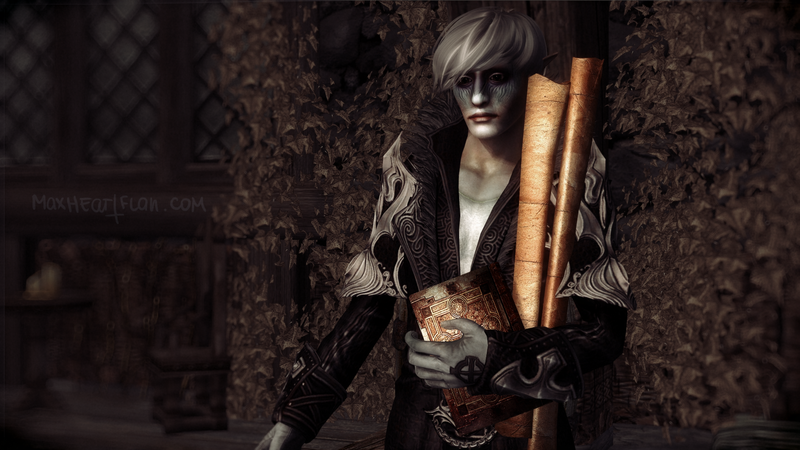 One day the drugged boy managed to escape from the cage.. sadly he died right off by falling off the towertop, 'cause there havent been any stairs provided in the bizarre architecture of Telvanni towers, and the poor barbarian had no skill for using magic to descend. When the old wizard found his boy all dead and broken, this only added to his obsession. The boy's resurrection seemed the only thing he could think of. And that was what he eventually succeeded in, using necromancy, dwemer secret technologies, and his own research work. The Shaman race was begotten as a rare artificial breed. Initially, the firstborn Shaman was created in male gender only, and so were his reserve copies. However, an experimental female was successfully brought into life years later, as an attempt to make the race actually breed. The both genders possessed the same face as the original boy- the most beautiful face of the beloved one. The not quite fresh face colour, also the pale patterns on male bodies were inherited from the initial body, which had been stored in ice and unfrozen several times during the creation process. The folk was called 'Shamans' - not 'mages', or 'wizards', just because this name more fitted to originally nomadic entity of the deceased boy. After their creator's SUDDEN death Shaman beings weren't at all treated like his actual family. Some were turned to slaves, or killed. A couple of the strongest ones fled to the continent and even made it to Cyrodiil, which was truly a miracle. 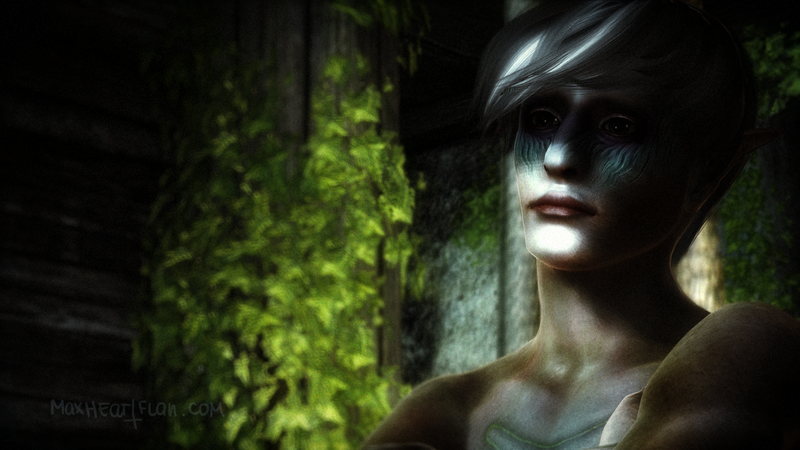 In Cyrodiil, a Shaman boy can be found in a small room of the New Lands Lodge, Cheydinhall. He is totally naked and obviously drugged, not remembering either his own name or whom does he spend nights with. Bleh I've written a wall of text and forgot the most important thing - PERMISSION NOTES. -This is a fully playable mod, not a resource. Do not use parts of 'Flan - Shaman race' mod in your own mods (except for those parts that come as resources). More permissions are in the readme. If the mod AS IT IS doesn't fit your taste- do not download it, better make your own race using Flan's bases and eye resources. This is so amazing. Very nice quality on the textures. You are the most AMAZING authors. Why don't you upload your races to Oblivion nexus sites? A lot more Ob gamers should know about them. Woaww, this is a good question, thank you. The truth is, our amazing mods are quite opposed to current mainstream trends presented at the site you've mentioned. Therefore, our mods would hardly receive sufficient amount of appreciation they deserve. Chances are they would just, so to say, quickly flush down the toilet and dissolve in a heap of popular mainstream mods. This is the exact fate of our promotional upload to nexus sites. 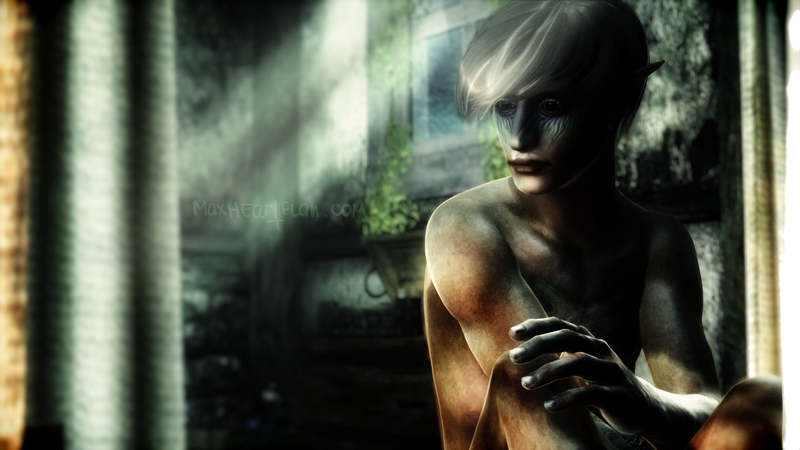 That's why I think our mods should be kept together in a dark secluded place like this, full of mysteries and sighs. But you are right, a lot more Oblivion gamers should know about Flan's races and beauty. That's why I keep repeating - you're free to promote our work whereever you wish. You even may repost any of my pictures. I know a few great people link to our blog, many others seem to be too shy though. But ofcourse, things normally work like this, you know- more talk about the blog -> more hits -> more yummy things uploaded. simple as that. What a wonderful race. My favorite of all and your art work on this race is really, I mean really amazing ! Keep going on.